How Much Does It Cost To Hire A Personal Injury Attorney? How much does it cost to hire a personal injury attorney? Attorney David Ricks explains this answer and helps you to understand the cost of hiring an attorney. 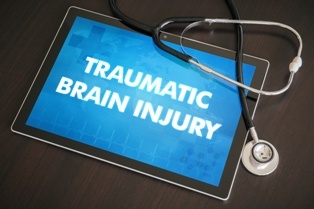 Traumatic brain injuries (TBIs) are a leading contributing factor of death and disability in California and throughout the country. There are nearly 3 million TBI-related emergency room visits, hospitalizations, and fatalities in the United States each year—and, according to the American Association of Neurological Surgeons (AANS), between 50 and 70 percent of those TBIs were sustained as a result of motor vehicle accidents. If you—or someone you love—suffered a TBI in a California car crash, or some other injury causing event, caused by another person or company's negligence, you may be entitled to financial compensation due to a wide of range of injuries and damages. Learn how TBI claims are calculated by knowledgeable attorneys, such as David H. Ricks of the Inland Empire Law Group, so they can pursue proper financial recovery for deserving victims. Living with a TBI is both physically and financially devastating for the injured person and the surrounding family. Accident victims who've sustained TBIs may face long-term physical, cognitive, communicative, and behavioral impairments, which can make holding a job, maintaining appropriate relationships, and even caring for oneself extremely difficult. People with TBIs often require extensive medical and assistive care, rehabilitation, home modifications, and other considerations—the cost of which can quickly become insurmountable. In fact, researchers at Northwestern University's Feinberg School of Medicine estimate that the lifetime costs of TBI treatment can range from $85,000 for mild TBIs and to more than $3 million for more extreme TBIs. In California, the cost of caring for TBIs can be even more expensive due to the high cost of medical care and other services. Factors like the severity of the injury and the length of time a person is forced to live with the TBI can affect lifetime treatment costs. Economic damages. These damages compensate victims for quantifiable accident-related financial losses, such as current and future medical expenses, property damages, lost wages, loss of earning capacity, and more. Non-economic damages. These damages attempt to compensate victims for non-quantifiable losses, such as pain and suffering, mental anguish, disability, reduced quality of life, loss of enjoyment of life, and more. Other damages. If the defendant's conduct was particularly heinous, the plaintiff may be awarded an additional type of damages known as punitive damages. Though paid to the plaintiff, these damages serve as an extra financial punishment to the defendant and discourage similar conduct. Determine economic damages. This is the easiest part of the equation. Economic damages are those that can be added up. We start with past medical bills and receipts, cost of crash-related medical travel, wages or income lost while recovering from the injuries. These bills, charges and losses are easily quantified. Next is determining whether there will be future medical expenses, loss of earnings, supportive care, etc. These damages can only be determined by experts who are familiar with this expenses and can quantify them for the TBI sufferer. Experts a critical to maximize the economic damage recovery. Calculate non-economic damages. These damages are much more challenging to calculate, but are more important than any other damages. The economic damages are to pay other people or to reimburse for financial losses. The non-economic damages are designed to provide compensation for the real losses that are personal to the injury victim. There is no formula or specific calculation to determine the non-economic damages. The skill of the lawyer and the lawyer's reputation can be a major factor at increasing the amount of a non-economic damage recovery. Combine the economic damages and non-economic damages. Add the figures found for both the economic and non-economic damages for a determination of the potential value of your claim. Keep in mind that this figure is a very loose assessment that can be impacted by a number of factors, including the extent of liability of the possible defendant, the liability insurance available, the contribution of the injured party in causing the accident, and whether the injured party mitigated their damages. If you sustained a TBI in a car crash that wasn't your fault, you shouldn't have to bear the burden of the resulting debt on your own. The skilled personal injury attorneys with the Inland Empire Law Group can investigate your case, calculate possible value of your claim, and help you fight for the financial recovery you need and deserve after suffering such a significant injury. Do you have questions about your TBI car accident case? Contact us today at (888) 694-3529 or (909) 481-0100 to schedule an appointment for a free initial consultation.